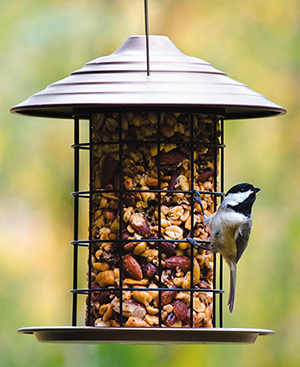 Bird Feeders & Supplies McGough's Inc. Feeders & Supplies – McGough's Inc.
At McGough’s, you will find a large variety of bird feeders and feeding supplies. We offer a number of hummingbird feeders, ant guards and nectar, along with many brands of tube-type, decorative and squirrel-proof feeders. We also have a selection of wooden bird feeders and bird and bat houses – as well as fly-through cardinal feeders and sunflower feeders. To help with your bird feeding needs, we carry a range of accessories like shepherd hooks, squirrel baffles, seed trays and more! Feeding wild birds is one of the best ways to impact the world around you. The simple act of putting out a bird feeder and keeping it full can greatly improve the chances that birds and their offspring will survive. 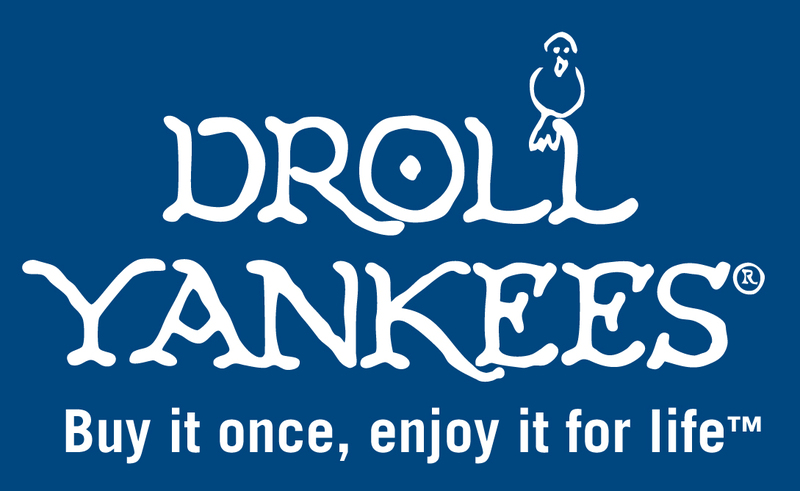 Continuing a 40-year tradtion, Droll Yankees is committed to producing high-quality bird feeders through the hard work of American hands in the USA. For more information, click here. Our philosophy at Aspects is a simple one; manufacture the best feeders possible to ensure years of enjoyment to both the birds they are designed for and for the people who use them. We continue to manufacture all items in our Rhode Island, USA facility with the best materials available. This enables us to confidently stand behind every item with our Lifetime Guarantee. For additional information, click here. Brome Bird Care, located in Knowlton, Quebec, Canada, is home to the Squirrel Buster™ brand of squirrel proof bird feeders. Squirrel Buster feeders have come to be recognized as the leaders in the squirrel proof category. Lifetime warrenty. Unlimited customer care. All Brome feeders are 100% recyclable and certified lead-free. Click here for more information. Quality and Excellence since 1988. WoodLink manufactures recycled plastic GOING GREEN™ bird feeders and birdhouses, as well as a traditional lines of cedar, plastic, glass and metal. The Audubon collection of products by WoodLink is a line of high quality, field-tested bird houses, bird feeders and accessories. For more than 20 years, consumers have come to know and trust the brand name WoodLink. For more information, click here.